When listing your property with an agent, you will want to make repairs to the house and perform a thorough cleaning. These costs can add up quickly when you consider all that involved. 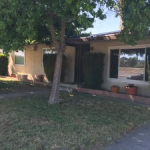 Aside from basic cleaning and repair work, you will need to consider storage, landscaping, staging, and making sure it is competitive with other houses on the market in Fresno and the surrounding areas. Be forewarned, it can get pretty pricey if you have a lot of work to do! Once the home inspection has been completed, the potential buyer will likely want to negotiate any items that popped up on the inspector’s report. You will need to fix these items or provide a credit for the new homeowner to be able to make the fixes on their own. Negotiated repair costs can have a huge effect on your final sale price for the home. With a direct sale to I Buy Houses Fresno, you don’t have to make any repairs or worry about the price being negotiated. With a direct sale, selling your house is a much simpler process. I Buy Houses Fresno would love the opportunity to make you a direct offer on your property right now! We can close fast and are interested in all properties in the Fresno area! Get an offer now and close in days, not months!